In the 1950’s Carthage, Missouri became the home to multiple dairy processing facilities. One of these facilities receives and packages dairy products (such as yogurt, natural cheese, processed cheese, and cream cheese) and distributes them throughout the country. Although there was no raw milk intake, the facility still generated a significant amount of wastewater during the packaging process. With a factory expansion and increased wastewater flows on the horizon, the facility needed a solution that would provide efficient treatment of their wastewater. All of the industrial process wastewater generated by the packaging plant was pretreated prior to being discharged to the local publicly owned treatment works (POTW). 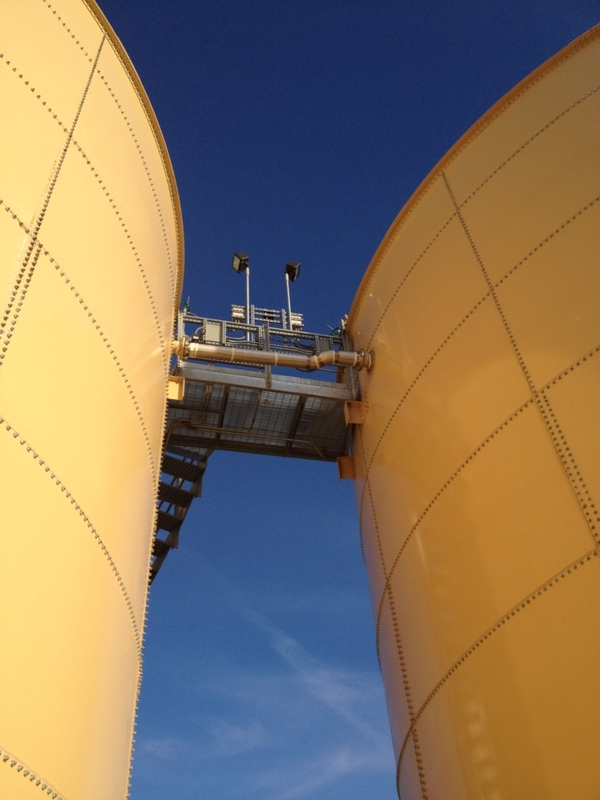 Pretreatment had been accomplished by a rental dissolved air flotation unit (DAF). Sourced by the facility, the rental unit had initially met the need for pretreating the wastewater, but the DAF rental costs increased over time and inefficient treatment led to concerns about the quality of the effluent being sent to the city’s POTW. The potential for surcharges and violations for exceeding effluent discharge limits and the escalating DAF rental costs left much to be desired. While the facility anticipated that it would continue to discharge pretreated effluent to the city, they also identified the need to control their own treatment process. The ideal solution would need to be identified, engineered, and implemented within 18 months, based on the rental terms for the existing DAF. To find a solution for their pretreatment needs, the facility reached out to The Probst Group, a trusted partner in the wastewater industry. Working in concert, Probst, Faith Technologies, and Stellar Group designed, constructed, and implemented a new wastewater pretreatment plant (WWPTP). The new WWPTP would provide a long-term, cost-effective, efficient solution for the pretreatment of the facility’s wastewater while also ensuring effluent quality to avoid surcharges and violations. Under a strict construction and startup schedule, Probst, Faith, and Stellar worked in tandem to construct the new WWPTP. Construction was completed and the treatment plant was providing effective pretreatment by the “tie-in” date required to keep the production facility operational while also allowing the DAF rental to expire. In addition to working with Faith and Stellar to drive the project to completion by the “tie-in” date, the Probst Operations team provided start-up, commissioning, and both onsite and remote support to ensure optimal performance of the aerobic treatment system. By teaming up with Faith and Stellar, Probst smoothly designed, constructed, and implemented a new WWPTP within the desired 18-month timeframe. With the facility’s new aerobic biological pretreatment system, the high recurring costs for equipment rental have been eliminated and the treatment process is much more cost-effective. The facility is now operating efficiently and will be able to handle future expansion over the long-term.